In July of 2015, a project was approved for the modernization of the Kona International Airport Terminal. 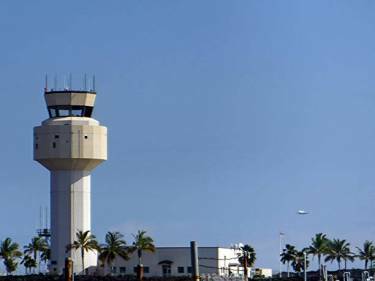 Approximately $60 million was budgeted toward phase 1, which consists of connecting the north and south terminals, centralizing the baggage handling system and the security check point, and integrating flight information display systems throughout the airport. The project was put out to bid towards the end of 2015, with a projected start date of June, 2016 and a completion date of June, 2018. The integration of flight information via display monitors allows for passengers to check on their flight from wherever they are within the secured portion of the airport. A major portion of the modernization includes a two level space for international arrivals/departures. This facility will be used for domestic as well as international arrivals/departures and will include loading bridges. In December of 2017, Portland Bolt produced the anchor bolt requirement for this project. The products consisted primarily of ¾” diameter ASTM F1554 Grade 36 anchor rods ranging anywhere from 13” to 47” in length. All of the anchor rods had a nut assembled and welded on the embedded end to prevent the nut from moving. Also, because Hawaii’s climate can be fairly corrosive, all of the anchor bolts were hot-dip galvanized. Since Portland Bolt has certified welders on staff and handles the hot-dip galvanizing in house, the anchor bolts were produced and delivered as required by the contractor.